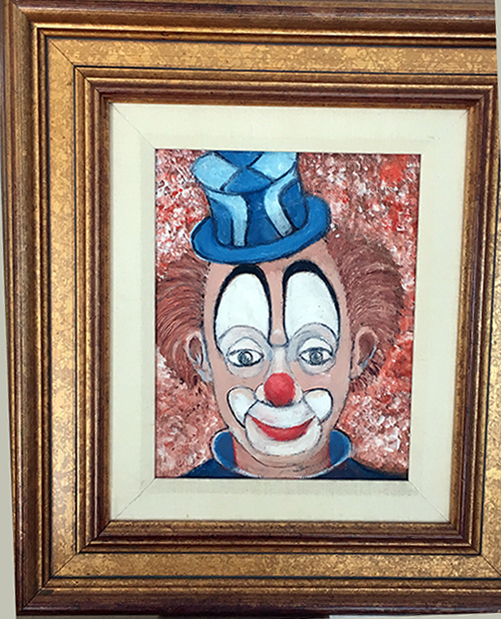 “My Best Friend is an original oil painting on board hand signed by the internationally acclaimed artist Red Skelton. This unique one-of-a-kind painting is signed on the reverse by the artist. It measures 10” x 8” and is painted on a cigar box lid from the Centro America Cigar Co. circa 1985. It is magnificently framed and matted.